The CACREP accredited Doctor of Philosophy degree in Counselor Education provides the highest professional degree available to students who aspire to leadership positions in counselor education and school counseling. Although the degree includes a prescribed curriculum of required and elective courses, students in this doctoral program are also expected to complete a major research study resulting in the presentation and defense of a dissertation. We bring over 75% of the PhD coursework to The Woodlands Center. The Woodlands Center houses a state-of-the-art clinical training facility where students develop advanced skills in counseling, counselor supervision, and teaching under the skillful mentoring of doctoral faculty. Students have the benefit of interfacing with faculty with national and international reputations in their particular fields. Faculty members are active in professional organizations, publish in national and international journals, present sessions at national and international conferences, and provide leadership in the field. Faculty regularly include and/or mentor doctoral students in activities such as scholarly publication, professional presentation, involvement in professional counseling organizations, and other aspects of the profession of counseling and counselor education. Many of our graduate students receive financial aid from the federal government. 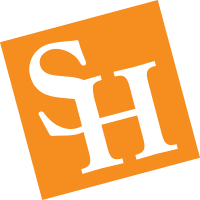 The Financial Aid Office at SHSU (936/294-1774) is very helpful in directing students through the process of receiving financial aid. The Ph.D. Counselor Education program follows a cohort (group) model, in which students take all core classes with the same group of colleagues throughout the program. Research about the cohort model has revealed that doctoral students feel a strong sense of support from cohort colleagues and completion rates tend to be higher for cohort members. Most of our doctoral students currently work as full-time professionals. Typically, for doctoral students who are full-time working professionals and have families and other commitments, 6 hours or 2 courses are considered a full-time load. In rare cases, some students can take 9 hours or 3 courses a semester. In order to keep pace with the cohort and make progress in your course sequence, we also encourage you to take the minimum required 6 hours, rather than less (e.g., 3 hours). After 6-8 semesters of coursework, students take a comprehensive written examination. In addition to synthesizing course information, students demonstrate competencies in research tools. Upon completing coursework, a dissertation is required to obtain a doctoral degree. A dissertation is an individual independent research study that a student conducts under the guidance of a Dissertation Advisor and a committee of two other professors who are familiar with the topic or method of study.